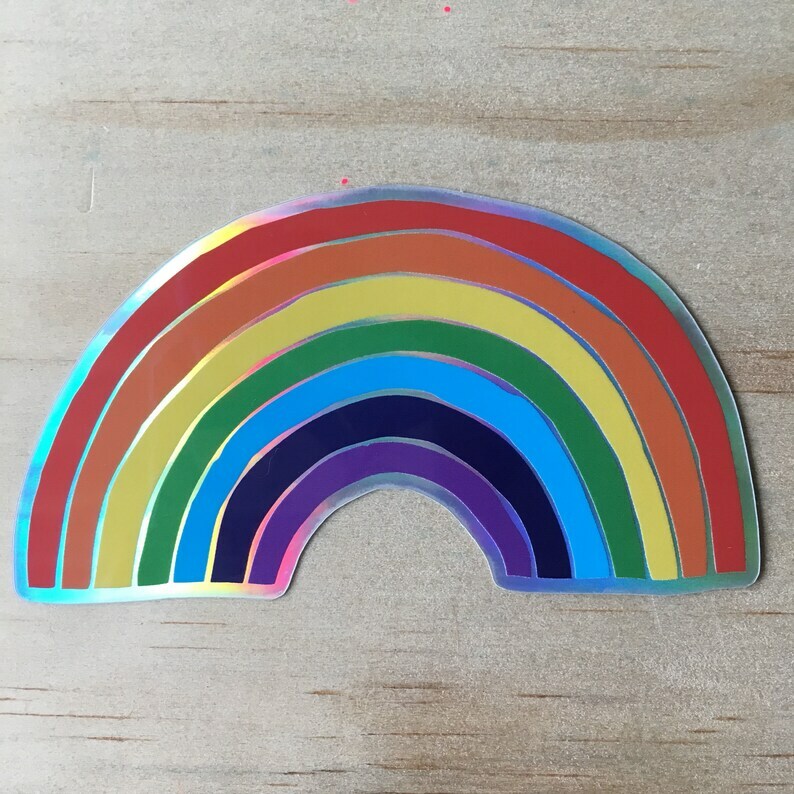 2”x3.5” holographic sticker. All of the colors of the rainbow! Stick it on things!